Well color me shocked (not) but it seems like Nokia has dug up another round of patents to assert against Apple in their ongoing patent litigation suits. Funnily enough these patents cover things that have traditionally been thought to be Apple’s backyard with on-device app stores and touch user interface and gestures being mentioned. It’s pretty obvious that Nokia is getting rather serious with this suit after having added 5 more patents in May. Truthfully, some of the things being patented today range for silly to obscure/useless but the fact of the matter remains that if you spend time and money developing IP, you’re certainly going to want to be rewarded for doing so. A certain Stefan Constantinescu thinks it’s simply a defense mechanism by Nokia to stifle innovation by companies like Apple and Google because they can’t come up with ideas of their own. My initial response was “LOL!! !” but for professionalism’s sake I’ll add a bit more to that. Why is it that when Apple sues a company it is protected its ideas and IP and all is well, but when Nokia or Oracle sues over things that are admittedly and rightfully theirs, they are seen as evil. Bias much? I’ll give you that some of these patents are vague and rather useless in my humble opinion, but others patent equally mundane and silly ideas and are not nearly vilified for it. 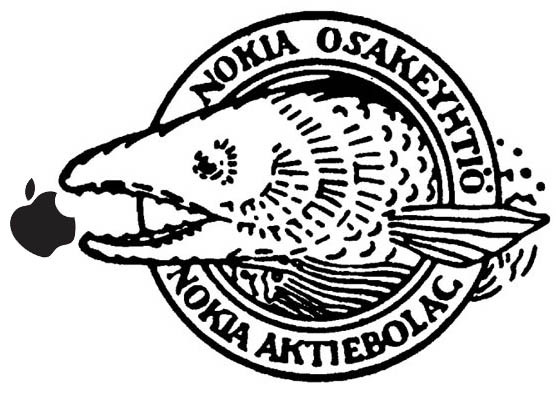 Espoo, Finland – Nokia announced it has filed claims in the UK High Court, Dusseldorf and Mannheim District Courts in Germany and the District Court of the Hague, Netherlands, alleging that Apple infringes Nokia patents in many of its products sold in these countries, including iPhone, iPad and iPod Touch. Nokia’s filing in the UK covers 4 Nokia patents related to touch user interface, on-device app stores, signal noise suppression and modulator structures. Nokia’s filing in Dusseldorf, Germany covers 7 Nokia patents related to touch user interface, antenna structures, messaging functionality and chipsets. Nokia’s filing in Mannheim, Germany covers 5 Nokia patents related to on-device app stores, caller ID, display illumination and the integration of multiple radios. Nokia’s filing in the Hague, Netherlands covers 2 Nokia patents related to signal noise suppression and data card functionality. During the last two decades, Nokia has invested approximately EUR 40 billion in research and development and built one of the wireless industry’s strongest and broadest IPR portfolios, with around 11,000 patent families. Nokia is a world leader in the development of handheld device and mobile communications technologies, which is also demonstrated by Nokia’s strong patent position.